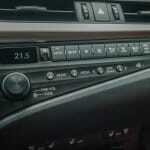 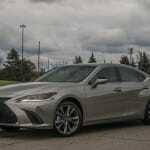 Despite its popularity, the Lexus ES sits in a somewhat isolated segment. 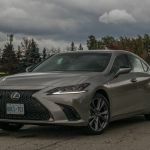 It’s in between the mid-size and large sedan classes, with a front-drive setup only, and stacks up against low volume sellers such as the Nissan Maxima and Kia Cadenza. 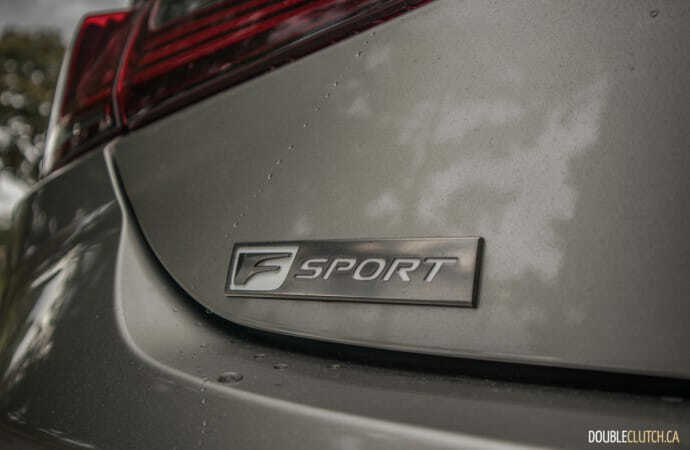 In the past, the ES has made no real effort to be sporty, and embraced its cushiness and older target demographic. 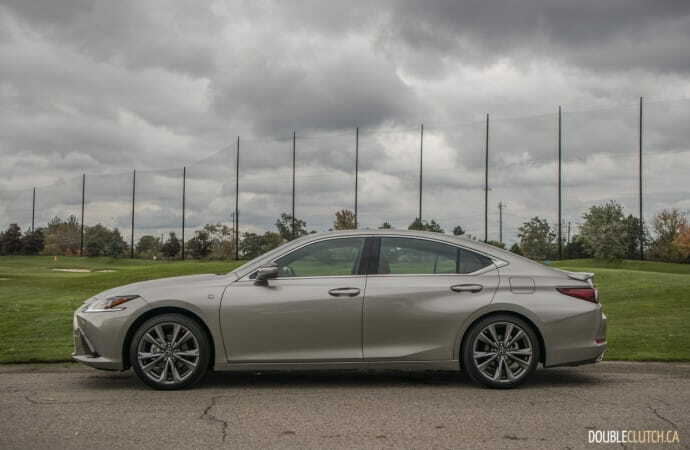 The seventh-generation model is completely redesigned, and like the model it replaces, is based on the large Avalon (reviewed here) rather than the Camry that underpinned the first five generations (1989 to 2012). 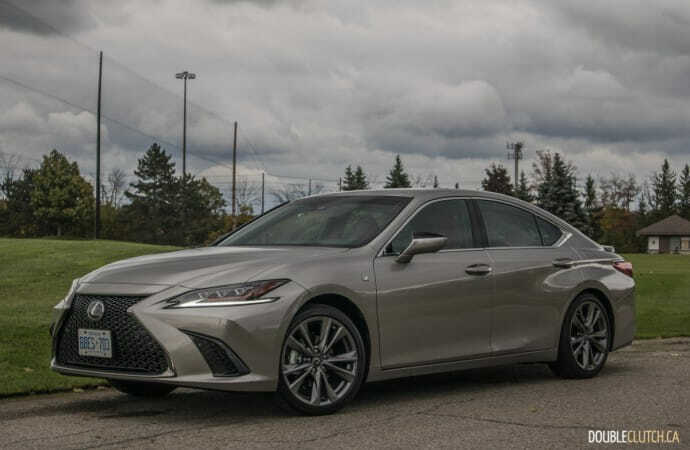 This is the 2019 Lexus ES 350 F-Sport Series 2, and it’s immediately distinguishable from its predecessor thanks to new styling that doesn’t really resemble its Avalon sibling. 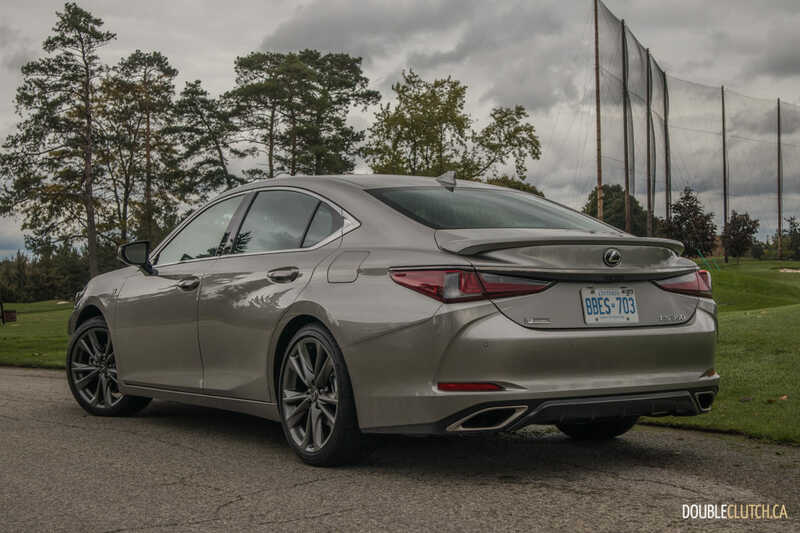 This car sits on Toyota’s “TNGA” platform alongside the Camry and Avalon, and is longer, wider, and lower than the model it replaces. It’s a generally good looker, with the large Lexus corporate fascia, but the rear end almost looks droopy from some angles. 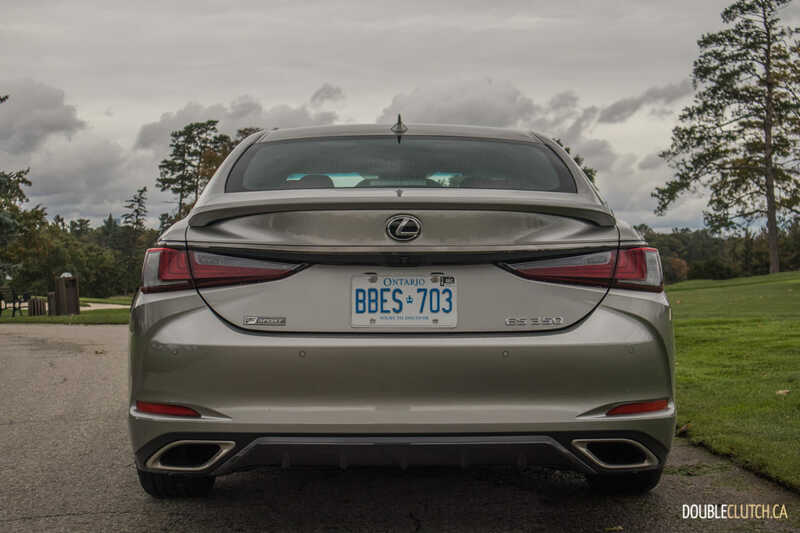 The F-Sport rear spoiler on our test vehicle doesn’t do it any favours, and almost resembles a spoiler from a mid-90s Camry “Plus”. 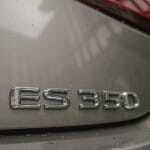 Most ES buyers won’t really care about performance as long as it’s fairly adequate, but the 3.5L V6 under the hood (codenamed 2GR-FKS) is heavily revised from the 2018 ES. 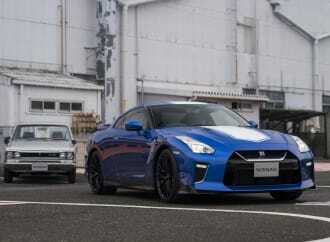 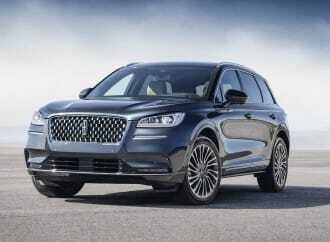 It has 302 horsepower, 267 lb-ft. of torque, and an all-aluminum block. 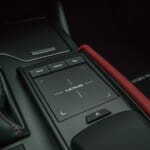 An eight-speed automatic is the only available transmission, and this combination is likely the best part of the new ES. 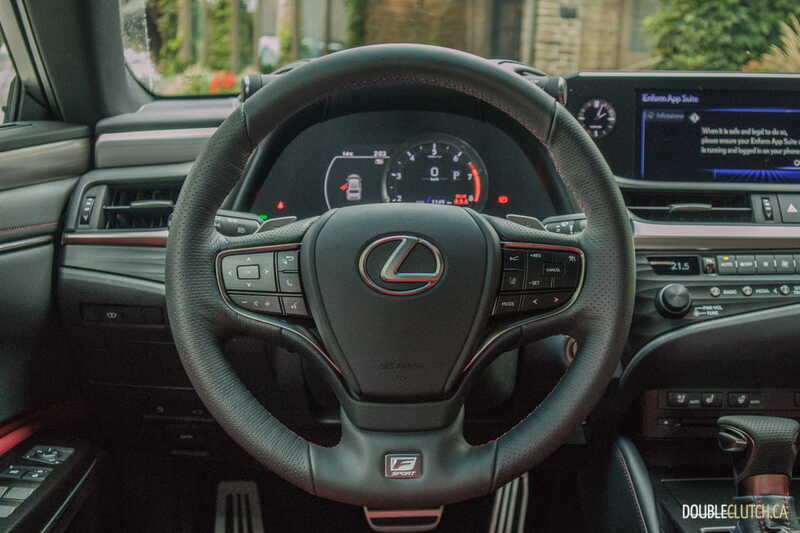 Power comes on in the smoothest and classiest manner the Lexus brand is known for, and shifts from the transmission are effortless and completely isolated. 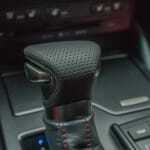 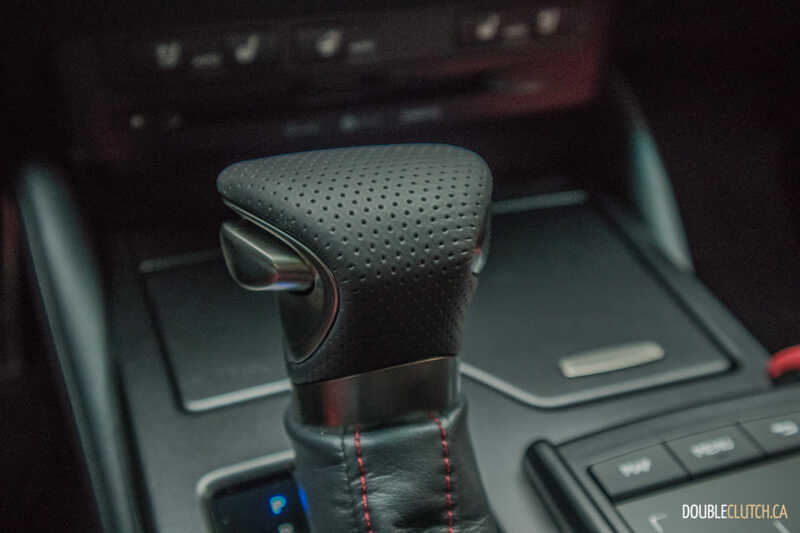 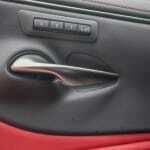 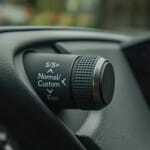 A manual shift mode is available, but you won’t find yourself using it at all. 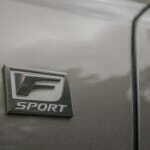 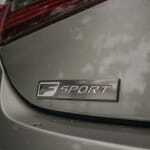 New for this generation is the F-Sport model, which is the first time an ES model has tried to be athletic. 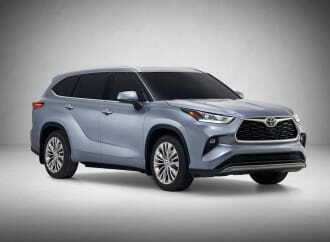 Aside from the obvious visual updates and F-Sport wheels, this model gets a new Adaptive Variable Suspension that has been developed by KYB. 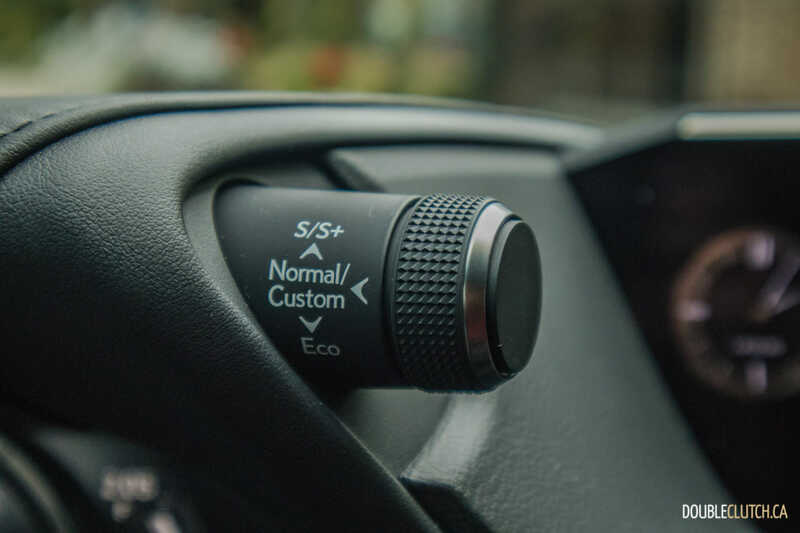 The shocks have an internal valve system that alters the dampers quickly according to road conditions. 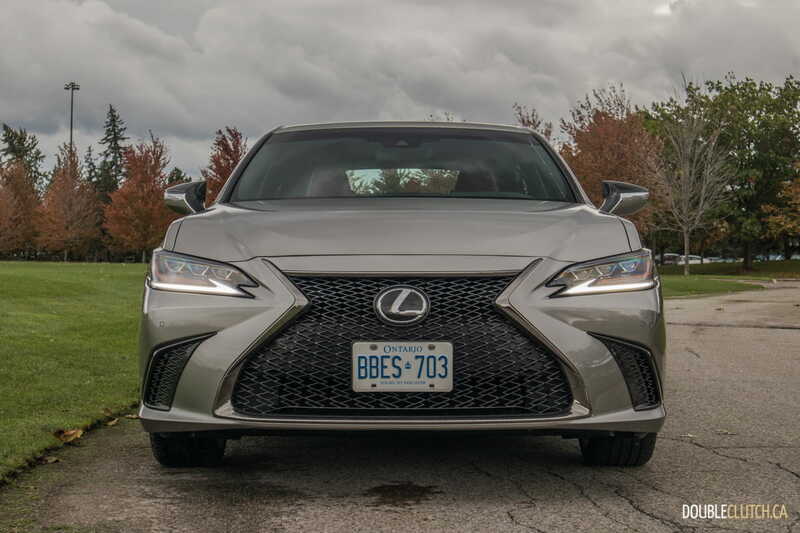 As a result, the ES 350 F-Sport is considerably firmer in Sport and Sport+ modes, and also offers steering feel that is more natural than one would expect from a car in this segment. 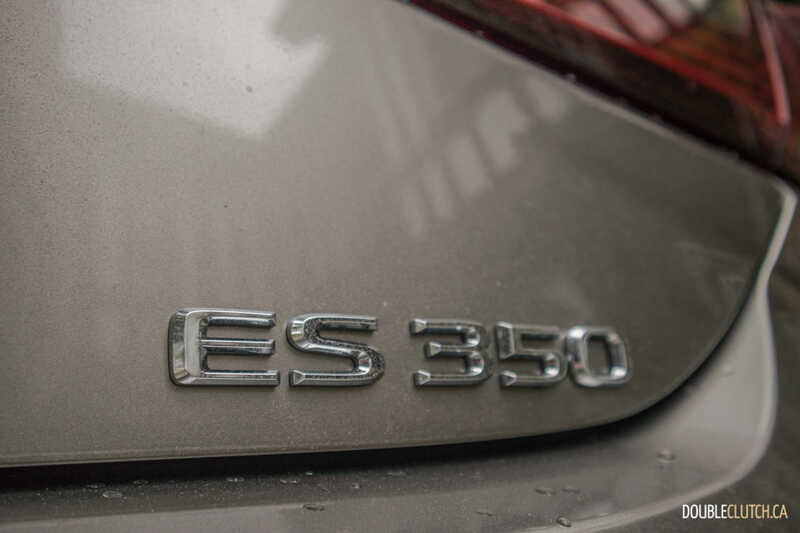 At the end of the day though, calling it the sportiest ES ever is, while accurate technically, not exactly the most appropriate way to describe this car. It’s still prone to significant understeer when pushed, and while the steering may have more feel than before, it still feels a bit too light for any sort of sporty car. 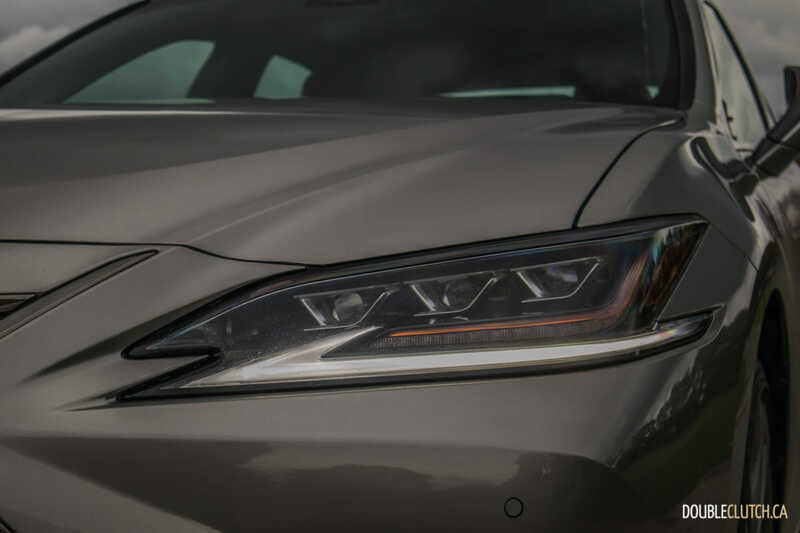 Performance is more than adequate from the 3.5L, and save for the suspension and steering, the Premium, Luxury, and Ultra Luxury models will drive the exact same. 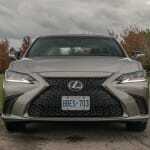 We observed as low as 7.4L/100km on one longer highway run in the ES 350, in colder-than-average temperatures. 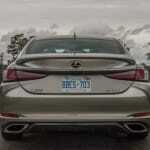 The official ratings from Lexus Canada are 10.9L/100km city, 7.5L/100km highway and a combined 9.4L/100km. 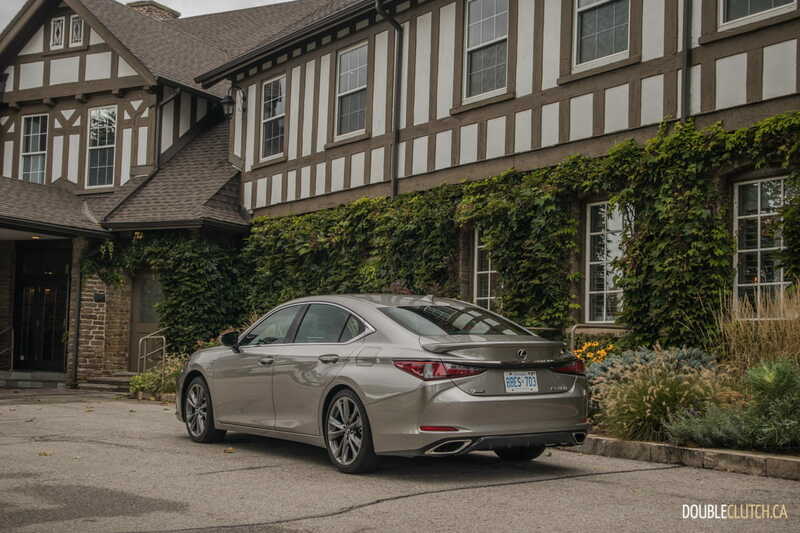 A lack of all-wheel-drive helps keep with efficiency, and our observed average of 9.6L/100km was right in line with the suggested numbers. Always a strong point for Lexus, the interior is where the ES 350 really begins to stand out. 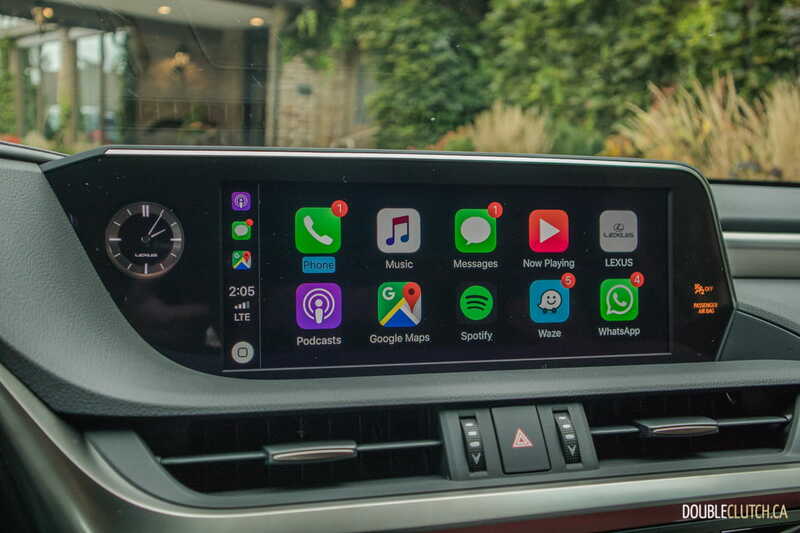 A huge 12.3” display screen now features Apple CarPlay, and apps such as Google Maps and Waze look absolutely stunning. 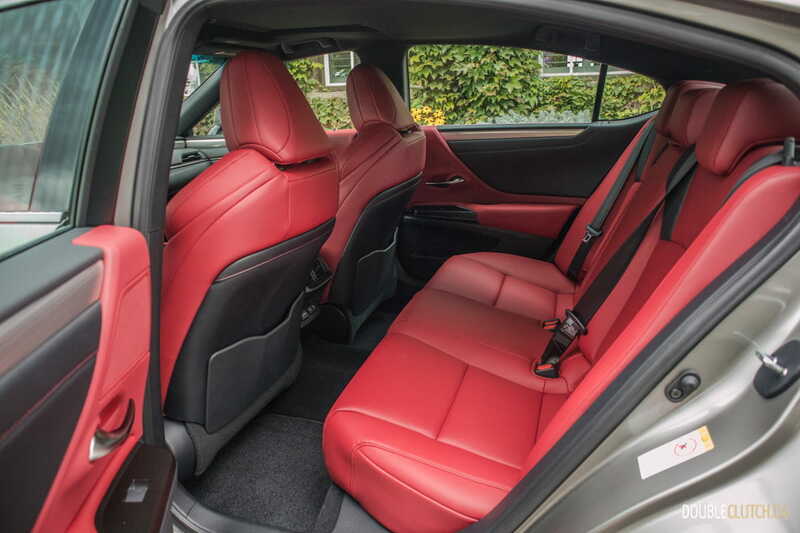 Materials are top-notch, and the NuLuxe synthetic leather seats are very nice to the touch. 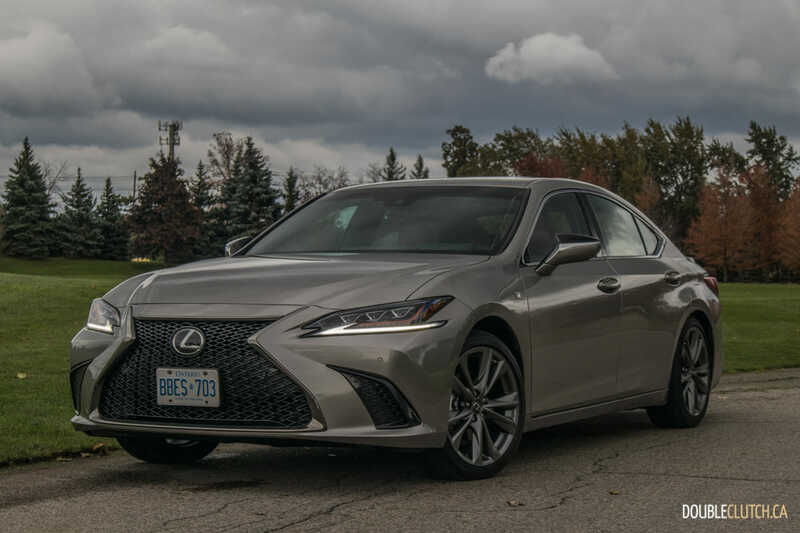 The front-drive setup helps the ES 350 maintain plenty of trunk and rear seat space, and all four passengers have enough space to stay comfortable even on longer highway runs. 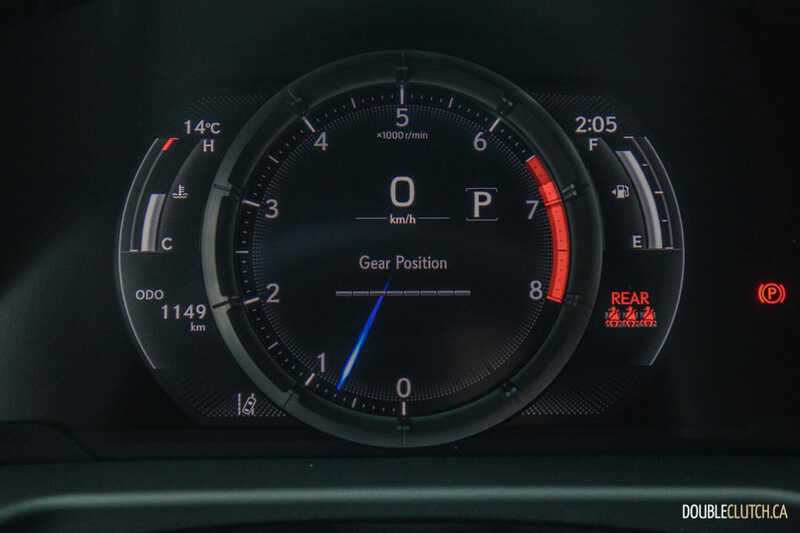 A new heads-up display looks great and is in the perfect location; just out of the driver’s line of sight but easy to find when you need it. 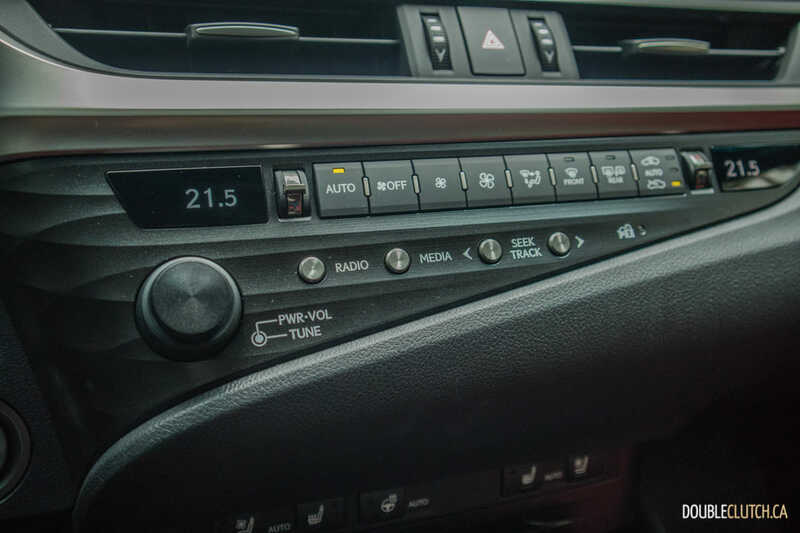 The aforementioned 12.3” display still features Lexus’ outdated infotainment system, and if you’re not using Apple CarPlay you will definitely notice the limitations. 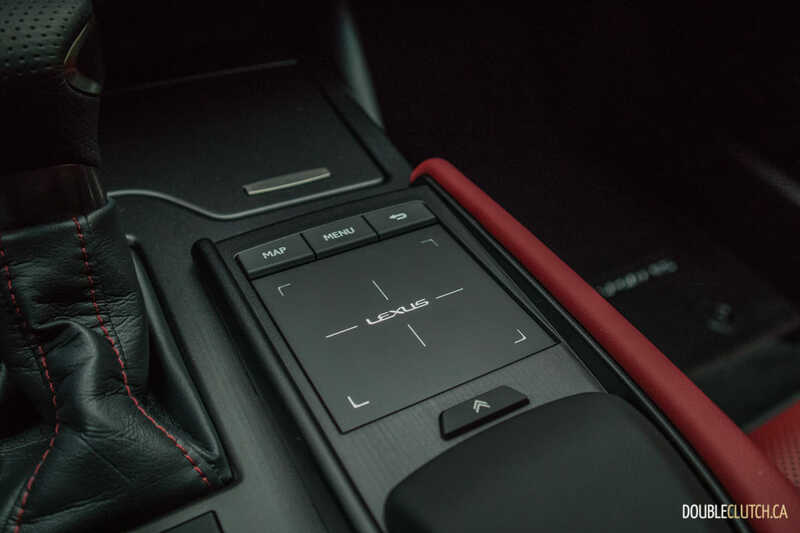 It’s not the easiest to use, with a touchpad that could be more responsive, and the graphics are a bit below the standard set by the rest of the car. 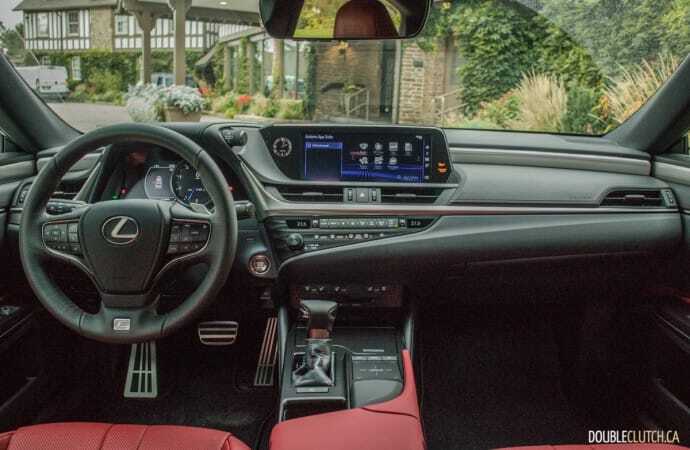 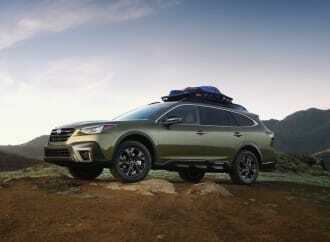 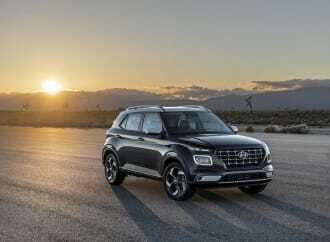 Higher trim levels get the renowned Mark Levinson surround sound system, but this trim level gets the base setup that is far below what we would expect from any $50,000 car. 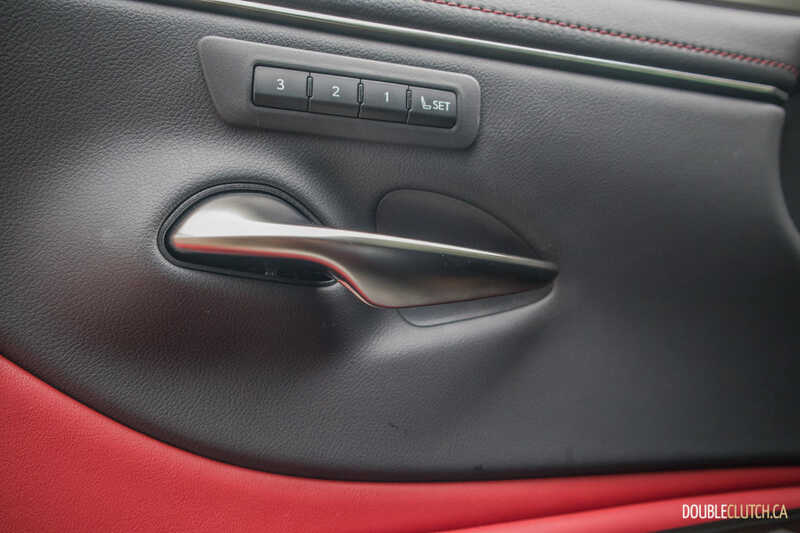 The base Burmester in the Mercedes-Benz C-Class, and Bang & Olufsen in the Audi A4 all surpass this. 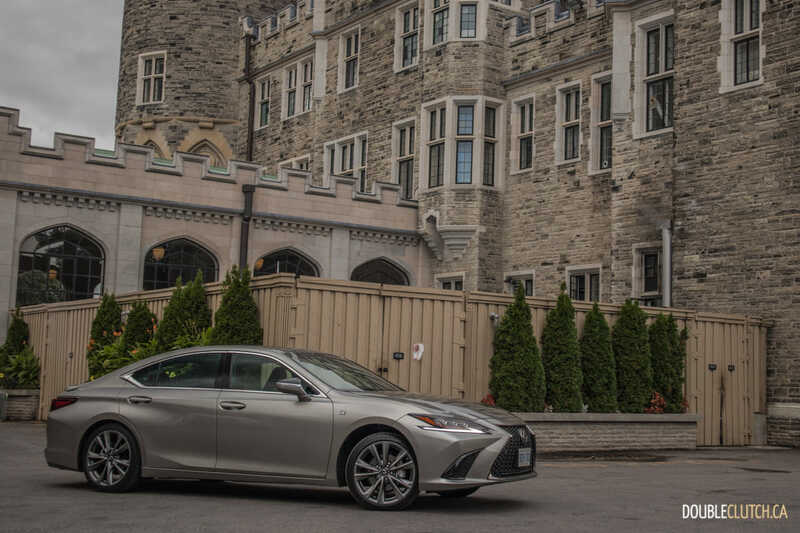 The ES 350 starts at $45,000 in Canada, and comes in a variety of packages. 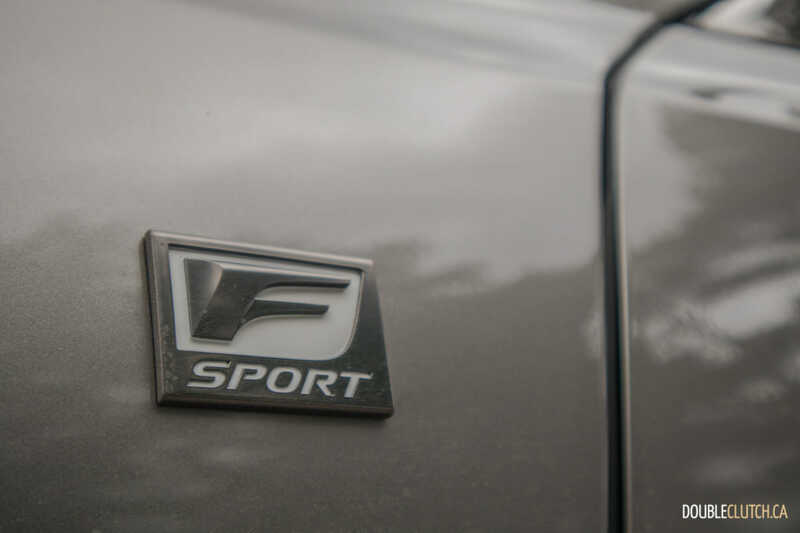 The F-Sport Series 2 model tested here stickers at $54,800, and highlights of this trim include the F-Sport performance goodies, Active Noise Control, LED headlights, 19” wheels, a moonroof, 10” heads-up display, 12.3” screen with Apple CarPlay, heated seats and steering wheel. The sweet spot in the lineup is the “Luxury”, at $55,600, which downsizes to 18” wheels for better ride quality and focuses on staying premium rather than the sporty bits that can appear gaudy to some. 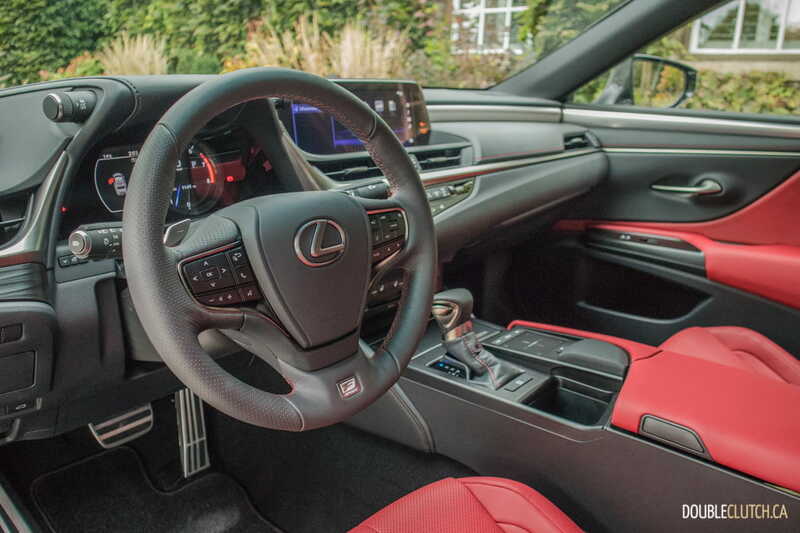 Topping the range is the fully-loaded $59,500 ES 350 Ultra Luxury. 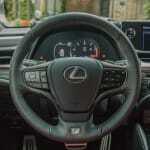 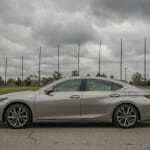 The 2019 Lexus ES 350 F-Sport is not only a redesign, it marks Lexus’ first attempt to compete with athletic rivals like the Nissan Maxima and the Acura TLX A-Spec (reviewed here). The F-Sport model misses its mark a little bit, but the ES 350 overall is a spectacular premium option and a noteworthy upgrade from a conventional midsize sedan. It’s obvious why the ES sells so well, and why so many Camry and Accord drivers are finding themselves in local Lexus retailers when the time comes for a new vehicle.